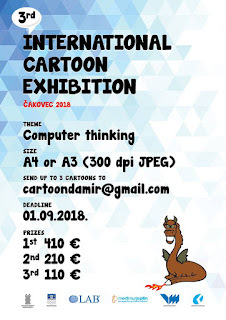 The exhibition will take place in Culture Center in Čakovec, from September 27th to October 10th 2018.
obliged to pay a fee to an author. Original works are returned at the request and the expence of the author. Entry deadline is September 1st, 2018. 3. Entries must not have been previously awarded on festivals. 4. Entries can be sent via internet or by mail. 5. Each authour can send up to 3 works. 6. Size of entries is A4 or A3 format (jpg 300 dpi). 7. 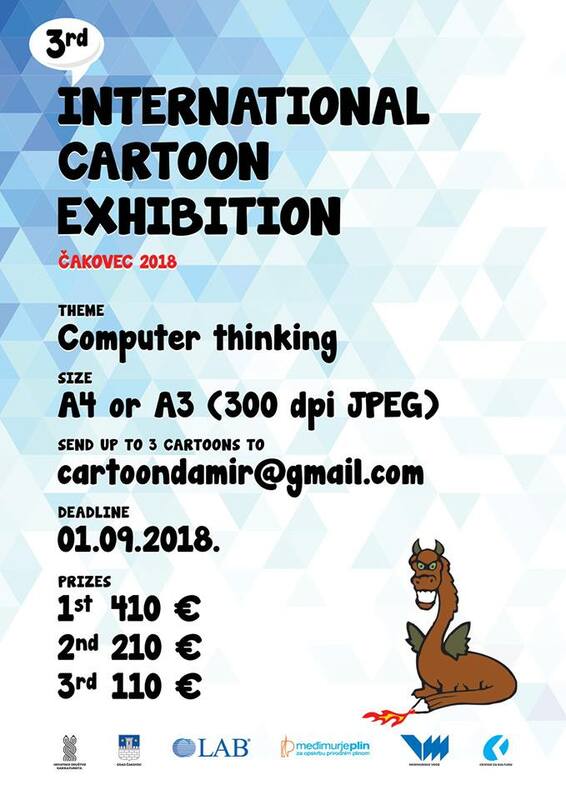 Cartoon works will be reviewed by the international jury.